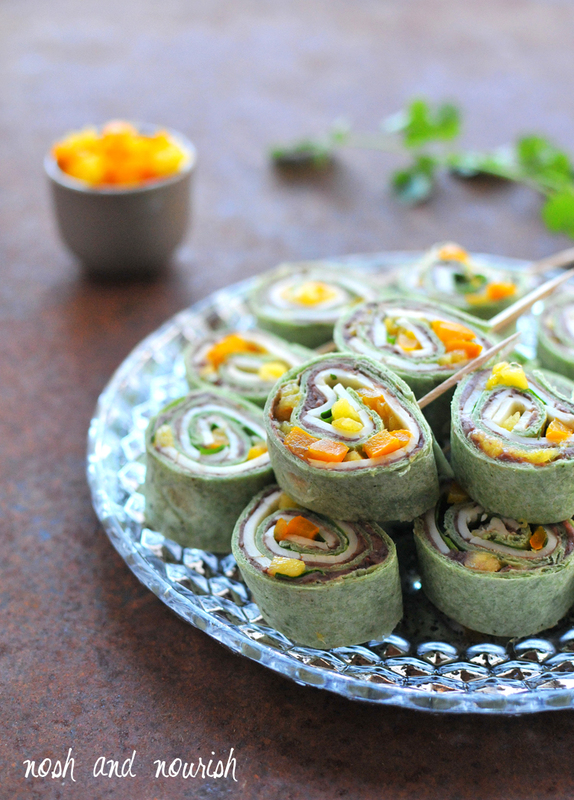 These black bean mango pinwheels are the perfect game day appetizer -- full of protein, fiber, and brightly colored fruits and veggies, you can actually feel good about serving these to your friends and family! To start, we took a leisurely trip down the Mexican food aisle at our local Safeway to gather our ingredients. Babycakes has started reading (so amazing ... AND... helpful!) and looked carefully at the back of each can -- perusing the ingredient list and nutrition facts like any good healthy food blogger's daughter would do! 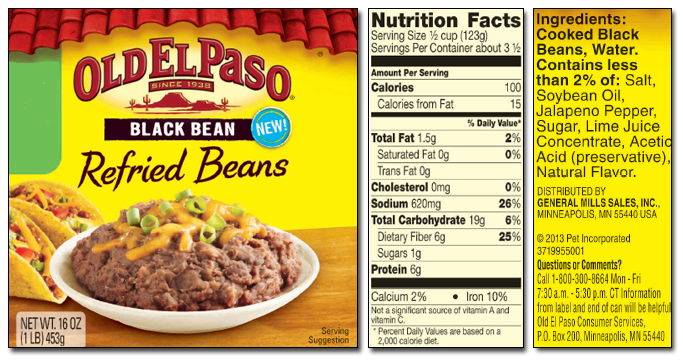 We chose Old El Paso™ Black Bean Refried Beans because the ingredient list had simple, pronounceable, nourishing ingredients -- just like we like! They look super fancy, but are simple to make. Just layer on the refried beans, pepper jack cheese (or sub cheddar if you want them to be less spicy), cilantro, roasted bell peppers and mango... then, roll and slice. Easy peasy! Serve with sour cream and/or salsa for dipping. Or eat them plain. Either way they're delicious! Are you ready for some fooooooooooootball?! I think the answer is now an emphatic, YES! 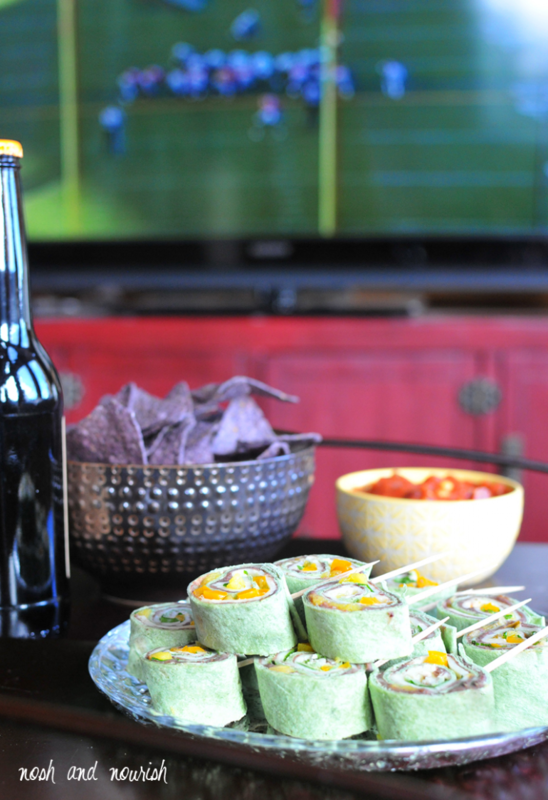 Here's to a fabulous game day surrounded by family and friends and lots of good food! 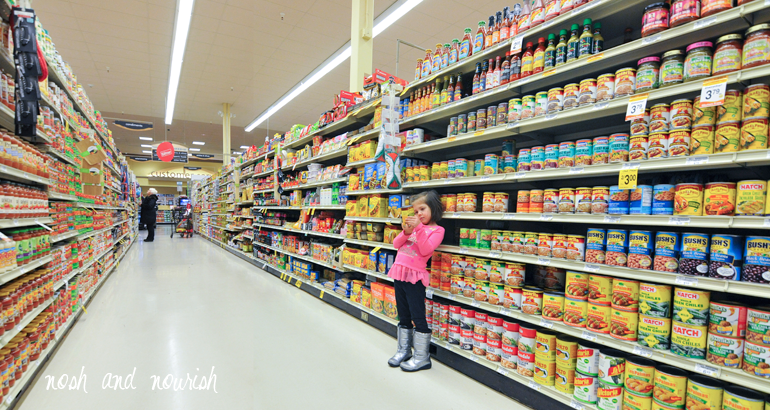 This is a sponsored conversation written by me on behalf of Albertsons. The opinions, recipe, beautiful food photography and text are all mine. Heat your refried beans up in the microwave, approximately 45 seconds on high. Spread a thin layer of the beans onto each full tortilla/wrap. Lay the pepper jack cheese in a single layer covering half of each tortilla. 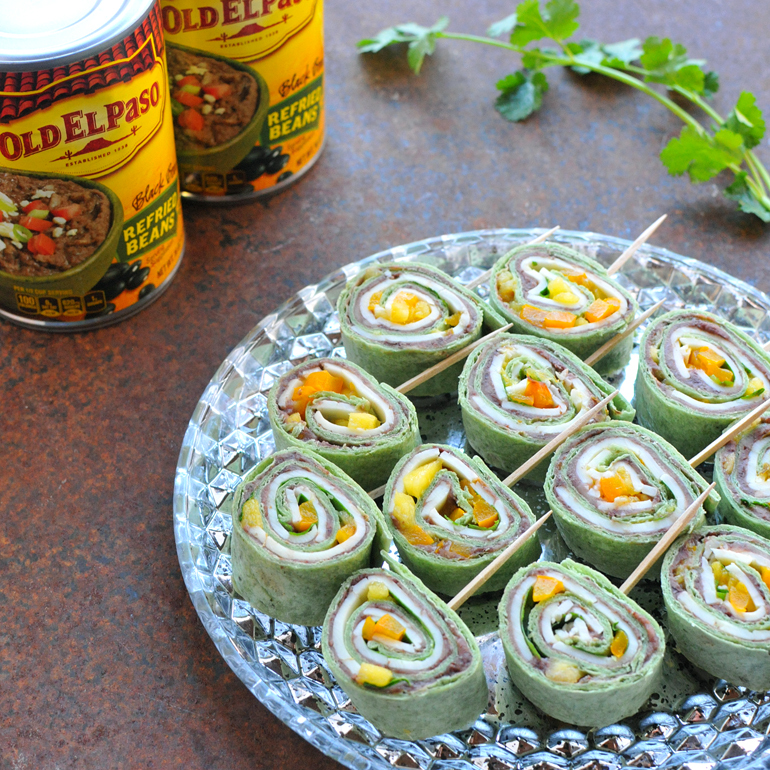 Sprinkle the cilantro, roasted bell peppers, and diced mango over the cheese in a thin layer. Roll up the tortilla/wrap starting with the side that is covered with all of the ingredients, and ending on the side where there are only black beans. Use a bread knife to slice individual pinwheels from the roll. Use a toothpick to secure each pinwheel. Serve with sour cream and/or salsa (optional).